The project included 17 loft apartment units in 6 stories above grade with three levels of structured parking below. 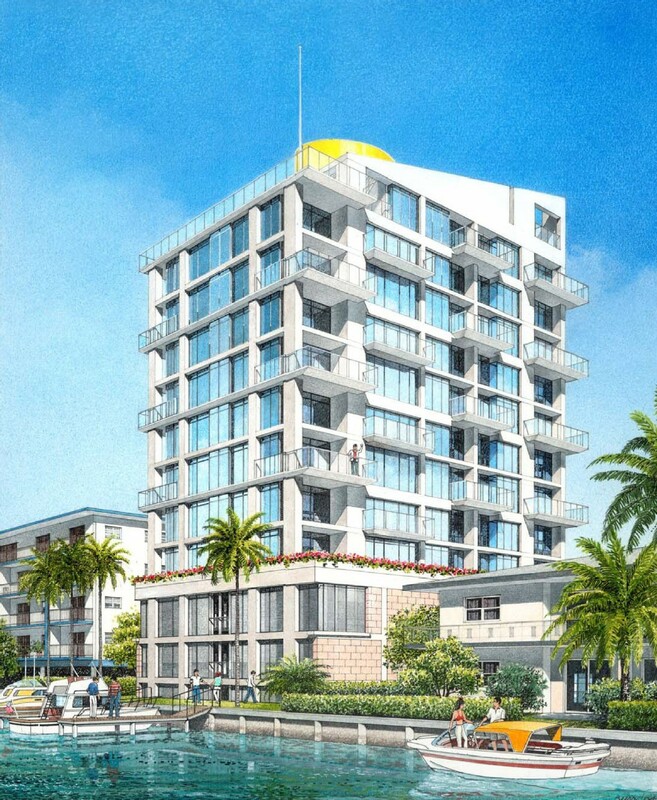 The lofts pinwheel around a central core with double-height living/entertaining spaces with private balconies at the corners, overlooking the ocean and intercoastal waterway. The top floor contains a penthouse with adjacent rooftop pool and exercise area.